This year is shaping up to be a big year for both Marvel and Netflix. Earlier today, we posted an update for their upcoming Marvel series, Luke Cage. And now, Comicbook.com has announced that season two of Marvel’s Daredevil will premiere on March 25th, 2016. The first season of Daredevil premiered on April 10th, 2015. 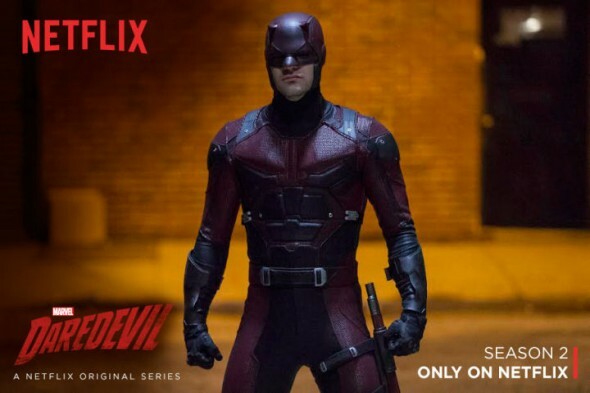 According to Comicbook.com, “Marvel and Netflix are aiming to launch Daredevil season two on March 25, 2016,” which also happens to be the release date of the DC Comics film, Batman V. Superman: Dawn of Justice. Netflix has yet to confirm the March release date, but the streaming service did recently released a new set of photos from the upcoming season. Joe Bernthal and Élodie Yung will join Charlie Cox’s Matt Murdock (a.k.a. Daredevil) as The Punisher and Elektra, respectively. What do you think? Are you a fan of Marvel’s Daredevil? Will you tune in for season two?